Doctors at Johns Hopkins Hospital were able to perform the first HIV+ organ donation, transplanting an otherwise healthy kidney from a living patient into another. Martinez was infected with the virus as an infant when she received a blood transfusion that contained HIV. People who test as HIV+ have not been allowed to donate blood for many years. It was Segev who led the research team that transplanted Martinez’s kidney into a patient who has asked to remain anonymous. As a result, the recipient has been able to forego kidney dialysis for the first time in a year. This is not the first time doctors have performed transplants from and to HIV-positive people: a law allowing such surgery to be done took effect in 2016, and since then doctors have transplanted 116 organs from deceased HIV+ donors to HIV+ recipients. What makes this case stand out, however, is that Martinez and the patient who now has her left kidney are both very much alive. In fact, Martinez is even considering training for the Marine Corps Marathon in Washington this coming October. 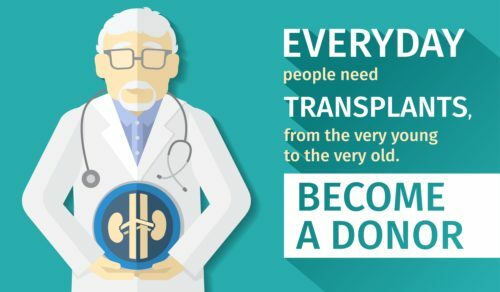 According to the U.S. Department of Health and Human Services, more than 113,000 people are waiting for organ transplants, and a sizable number of those are waiting for kidneys. While there are seemingly no plans to offer any organs from HIV+ people to non-infected donors at this time, allowing those who are HIV+ to receive a donation from another with the virus can widen the overall pool of possible organ donations.